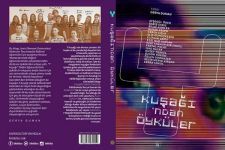 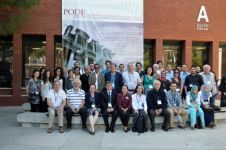 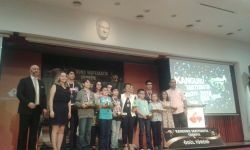 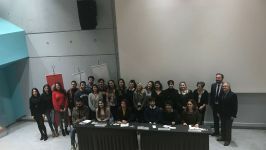 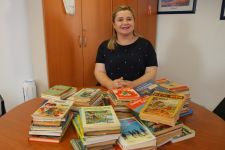 The idea announced in the 8th international Language, Literature and Stylistic Symposium organized by İzmir University of Economics in 2008 is now put into action thanks to funding from TÜBİTAK (The Scientific and Technological Research Council of Turkey). 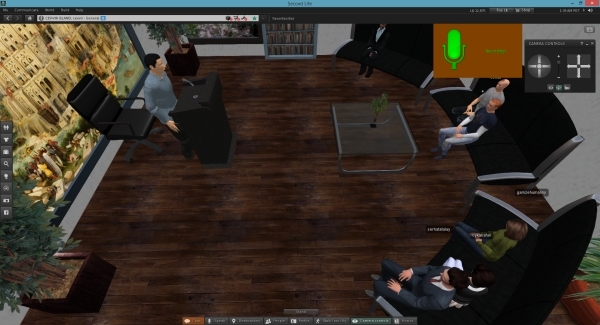 The scientific project titled “Interpreting and Teaching Interpreting in Virtual Worlds” (Grant No: 114K718) started on June 1, 2015. 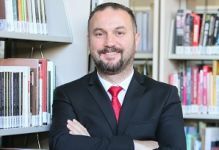 The principal investigator of the project is Mehmet Şahin, associate professor of translation and interpreting (T&I) at İzmir University of Economics (IUE). 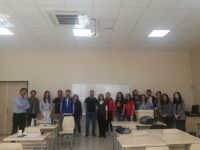 Gazihan Alankuş, assistant professor of computer engineering at IUE and Şeyda Eraslan assistant professor of T&I at Dokuz Eylül University (DEU) are part of the research team of the project. 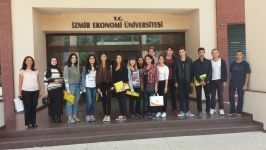 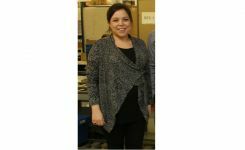 Ebru Diriker, professor of T&I at Boğaziçi University, known for her valuable work in interpreting studies, is the advisor of the project. 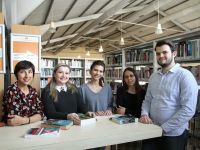 Damla Kaleş and Özge Altıntaş, PhD students in translation studies; Yasin Sinan Kayacan and Yiğit Can Parıltı, undergraduate students of software engineering; and Mert Künan, a recent graduate of computer engineering have been working as assistants in the project. 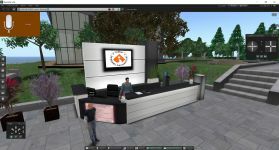 By the means of a 3D virtual world, the project aims to provide a more enriched learning and practice environment by overcoming spatial restrictions in interpreting training. Novice interpreters both at IUE and DEU now have the opportunity to support courses taken in the laboratory or classroom environment with a highly interactive learning environment thanks to the virtual campus in Second Life, created by the project team. 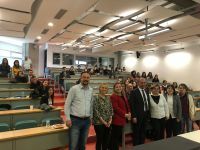 Through ÇEV-VİR App, an application developed within the scope of the project, it is now possible to practice interpreting with a variety of genuine speeches at different levels, in different subject fields and languages. 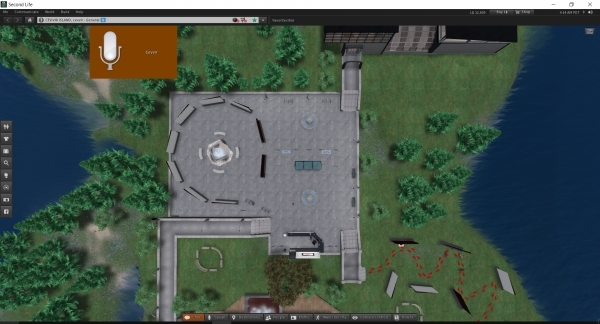 The recordings for each user, created through their interaction with robots, are transferred to the instructor through a server. 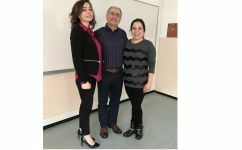 Users can also review their recordings and feedbacks through ÇEV-VİR App. 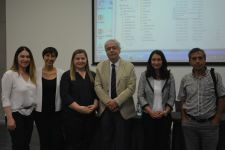 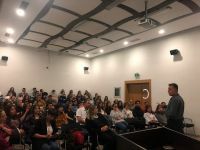 It is expected that the studies within the scope of this two-year-project will contribute greatly to translation and interpreting training, enabling students to be better equipped when they begin their professional lives.